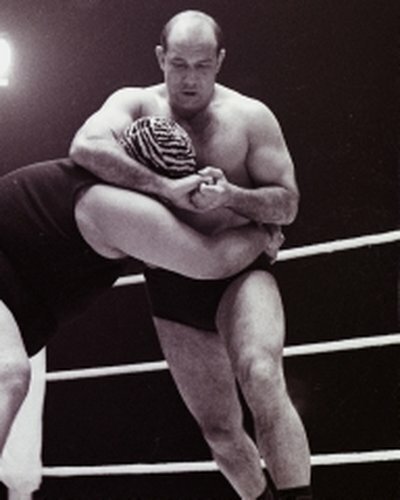 The wrestling world has lost another of its great international stars as the former British Heavyweight and Mid Heavyweight champion Geoff Portz has passed away. Born in Shipley, Yorkshire Geoff, like many before him, started his wrestling career at the age of 14 in the amateur ranks and was very successful winning several championships. However, the bright lights of the professional ring was too strong for Geoff to ignore and he became professional in 1951 combining his time in the ring with his day job as a joiner. Geoff was a powerful, muscular yet very technical wrestler and away from the ring he could often be found in the gym where he would spend many hours alternating between weight training and honing his wrestling skills. Geoff Portz was a name soon appearing on wrestling bills around the UK, he was known for his no nonsense style of wrestling and was soon being pitted against many of the top names that the business had to offer. 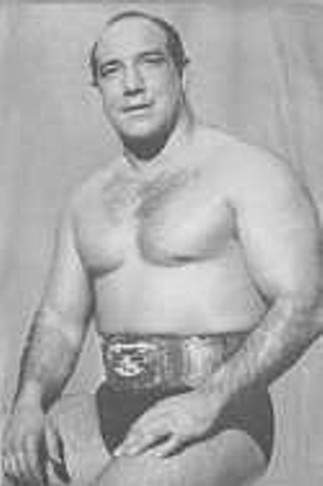 In 1957 the then World Champion Lou Thesz made his infamous tour of the UK and Geoff Portz was one of the wrestlers chosen to oppose the American and in one bout he held the champion to a fifteen round draw in Leicester. In March 1964 Geoff secured his first championship when he became British Heavyweight Champion, a title he would hold for six months before losing it to Billy Joyce when injury meant he was unable to continue. Two years later in May 1966 Portz dropped down to wrestle for the British Mid Heavyweight Championship, a title he won but again through injury was unable to continue in a bout against the legendary Mike Marino who would go on to secure the title. With wrestling’s popularity taking off around the country Geoff was soon appearing regularly on ITVs World of Sport making over 30 appearances over a ten year period. British wrestlers were soon becoming in great demand around the World and it was not long before he was making regular visits to Europe as well as Canada and the USA where he had great success winning the North American Heavyweight Title on four occasions as well as securing the International tag Team title alongside Jeff Atcheson. In 1972 during a tour of Germany Geoff suffered another injury to his knee but on this occasion it was to be an injury that was to put an end to his wrestling career, Geoff retired from the business and emigrated to Australia. Although Geoff continued to have a keen interest in the wrestling business he was never to enter the ring again, he passed away in March 2016 and will be sadly missed by his fellow professionals and fans from around the World. Geoff was indeed a great wrestler, entertainer and ambassador for British wrestler and he will be remembered fondly by the wrestling fraternity for years to come.